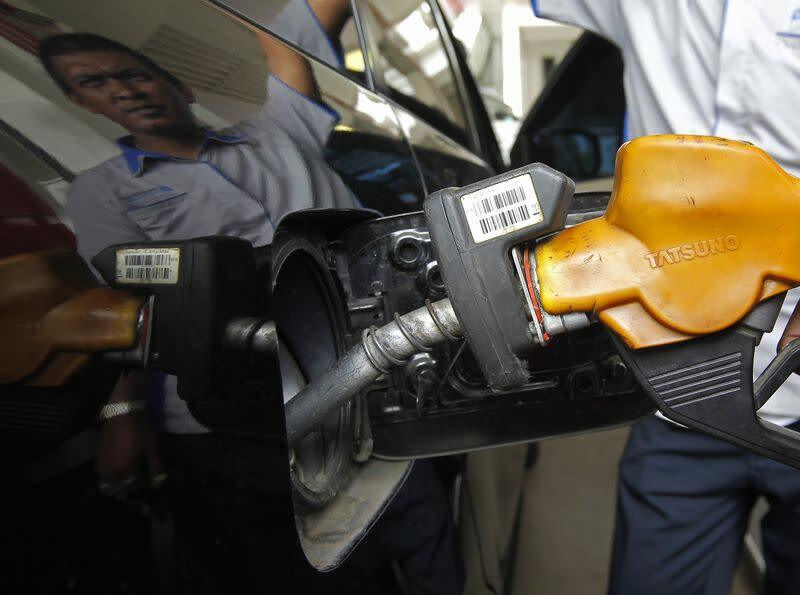 NEW YORK (Reuters) - Global oil markets fell again on Wednesday in holiday-thin trade, extending more than a week of see-saw volatility as traders jousted over whether a growing supply glut had been fully priced in. U.S. crude's front-month contract fell $1.28 to settle at $55.84 a barrel at 1:30 p.m. EST (1730 GMT), when the New York Mercantile Exchange shut early for the Christmas holiday. Around 180,000 contracts were traded, about half the recent norm. Front-month Brent fell $1.45 to $60.24 a barrel after a session low of $59.37. Brent has fluctuated wildly on either side of $60 a barrel for the past seven days, but has yet to break definitively below that psychological level. Oil prices slid throughout the day, reversing all the previous day's gains that were triggered by data showing the U.S. economy had grown 5 percent in the third quarter, the fastest pace since 2003 and much faster than the 3.9 percent annual rate previously reported by the Commerce Department. New York diesel futures, also called ULSD outperformed the oil complex for much of the day, after weekly data showed Northeast stocks were still unseasonably low even though atypically warm weather has curbed demand. But a late wave of profit-taking hit the close, taking the day's losses past 3 percent. Oil prices this year have collapsed to their lowest since the financial crisis. Weak demand and growth in U.S. shale output has created a global supply glut that OPEC kingpin Saudi Arabia has said it will not erase by cutting its own output. Traders are struggling to figure out how low prices can go, fueling a spike in volatility and wild price swings. Brent crude has averaged a $3.30 a barrel intra-day trading range over the past seven days, $1 more than its average in November.